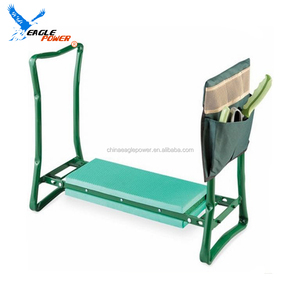 Garden Kneeler Seat Model: GT0501-C Size-open size:600*250*480mm Foldable Size:600*250*130mm Packing:1pc/carton or 4pcs/carton Carton size:630*270*540mm Quantity: 1152pcs/20GP Package with carton or according to your requests; Qingdao Eagle Power Industrial Co.,Ltd. 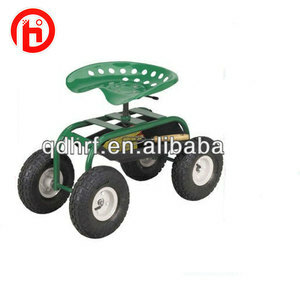 established in 1996, intergrating products development, designing , production,sales and service into a whole,has export & import rights as a manufacture and exporter specializing in the products of garden cart ,sreader, lawn sweeper,tailer,wheelbarrow, hand truck, tool cart, tools etc. Welcome friends and customers from all over the world , in the principle of equality and mutual benefit , to build up business relations with us, cooperate sincerely and develop together. 2. Is OEM avaliable 9 Yes, we have more than 15 years experience designers,that will help you to save time and money. 5.What is the quality guarantee 9 All our products are 100% guaranteed, we produce by heart,always stank back of you . 6.What is your advantages 9 Factory Price + Stable Quality + 100% quality guarantee +Fast Delivery. Q1: What is the MOQ for an order9 The MOQ is 2500 pieces for one order. Q3: What is the FOB port to ship9 We will ship the goods from Ningbo/Shanghai port . Q5: What is the delivery time for an order9 The delivery time will be about 30 to 40 days if you can accept our current mode. 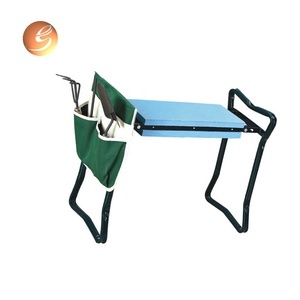 1 YRS Yongkang Binyu Industry & Trade Co., Ltd.
And you can use the sturdy tubular steel legs to help you stand up without hurt as have pool noodle in the tool pockets. 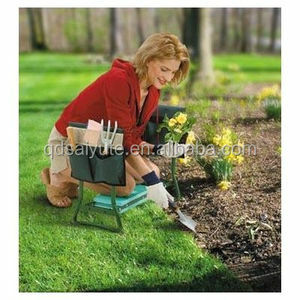 It can be used not only outside as a seat and knee pad while gardening, Also can be used INSIDE the house. The handles in the knee-pad position will help you stand up more easily, rather than just being a knee pad. 2 YRS Jinhua Hairender Import And Export Co., Ltd.
1 YRS Shenzhen Hebikang Technology Co., Ltd.
6 YRS Hongkong Sanda (Tianjin) Trade Inc.
7.MOQ 500-1000 pcs/pairs per style per color 8.Logo Print / Emboss or as your require 9.Shipping By air ,by sea , by express : DHL . Color: Black ,white , red , green , blue and other color as your require Packing: We can packing as require ,normally 1 pair per polybag or hang tag ,50 or 100 pcs/pairs per carton . Western Union Delivery Time : 20-25 days , if you need urgent it can be 10-15 days Shipping: By air , by sea , by express:DHL ,TNT ,FEDEX ,UPS ,EMS and so on Other Products Show Send inquiry to get a sample. 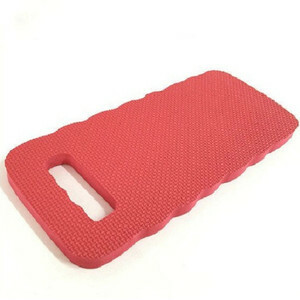 4) Cushion: high density foam, with removable cushion covers for easy cleaning, different colors optional. 3. Custom packaging service No matter the inner packing or the outer carton We can design as your request. 4. Factory visit service Sincerely welcome to visit us anytime. 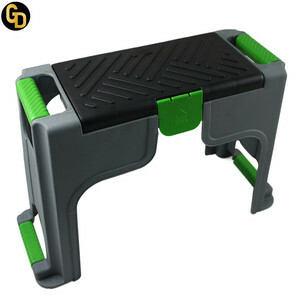 10 YRS Qingdao Xinquan Industrial Products Co., Ltd.
11 YRS Ningbo Goldmine International Trading Co., Ltd.
Alibaba.com offers 641 kneeler seat products. About 33% of these are other garden supplies, 28% are other tools, and 9% are cushion. 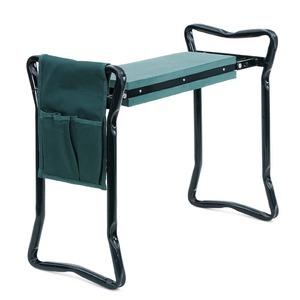 A wide variety of kneeler seat options are available to you, such as free samples, paid samples. 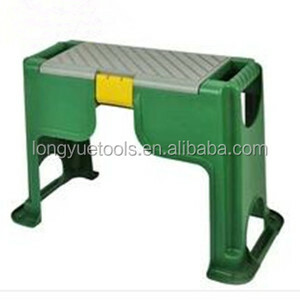 There are 641 kneeler seat suppliers, mainly located in Asia. 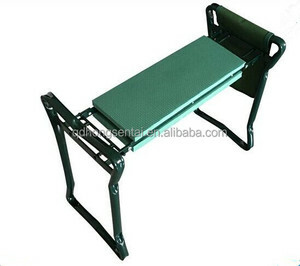 The top supplying country is China (Mainland), which supply 100% of kneeler seat respectively. 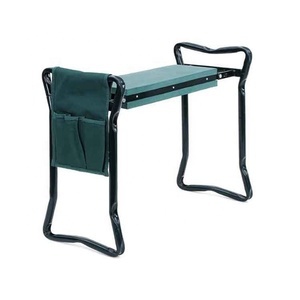 Kneeler seat products are most popular in North America, Western Europe, and South America. You can ensure product safety by selecting from certified suppliers, including 111 with Other, 53 with ISO9001, and 20 with BSCI certification.